Calling all fashionistas! This month you can check out a brand new event to catch the latest in Denver fashion. On April 7, the new Denver Fashion Week Marketplace pop-up will land at the McNichols Civic Center Building. Here you can try on and purchase the dream items you’ve been drooling over from Denver Fashion Week runaways over the years. Both past and present looks will be available to sift through, in addition to fun jewelry and accessories from local designers and some of our favorite boutiques in the city! 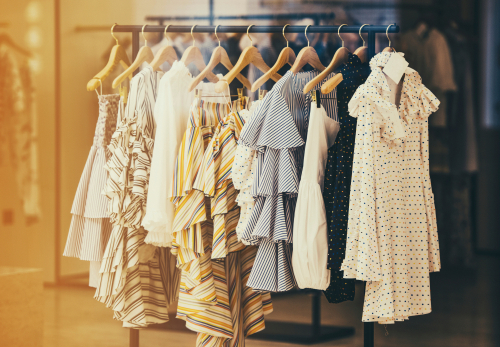 Find all of the latest trends and timeless classics to give your wardrobe the perfect update just in time for spring and summer. Admission is $10 and the pop-up will go on from 10 a.m. to 3 p.m. But plan to get your tickets early—the first 100 guests to purchase will receive a complimentary drink from Ratio Beerworks and Proximo spirits. Shop on!